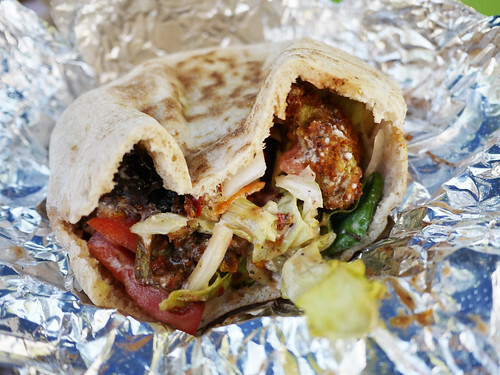 In brief: Not exactly the most amazing falafel out there, but a damn fine meal for under $5. We've been weirdly spacey about lunch lately, not just posting, but also we leave the office, think we're headed here but then end up there or then there is closed and we say oh let's go there and then stop here instead. Rainbow is a nostalgic favorite from college for me, best "fast food" for the price in the area!